Emerald is commonly considered the birthstone for the month of May, and it is also a traditional present for the 55th wedding anniversary. 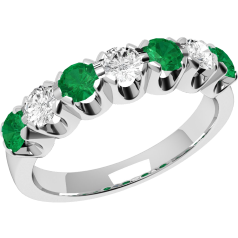 Emeralds are less hard than diamonds or rubies, and thus they usually tend to have internal flaws. 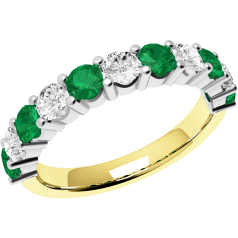 For this reason perfectly flawless emeralds can be even more high-priced than diamonds. 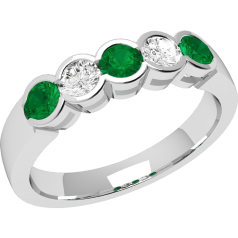 Just like other coloured gemstones, emeralds are graded according to the four Cs: Colour, Cut, Clarity, and Carat weight. 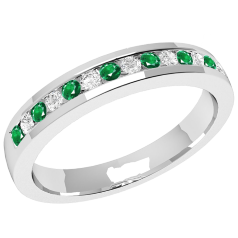 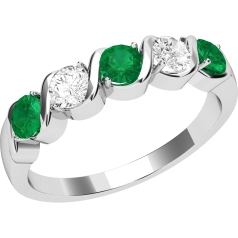 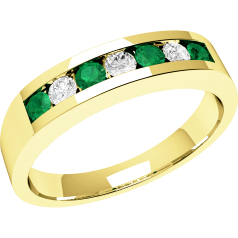 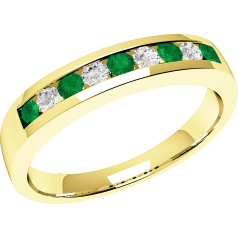 We offer a selection of superb green Emerald – Diamond Rings that can be given as non-traditional engagement rings or as stunning gifts. 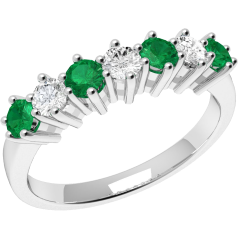 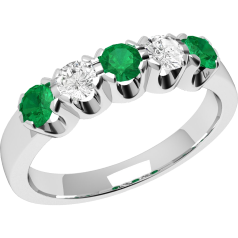 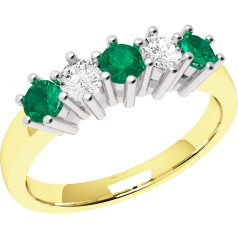 Here you can find several designs from our other categories, in an emerald and diamond version, thus you can find Emerald – Diamond three stone rings, Emerald – Diamond Cluster Rings, Emerald – Diamond Eternity Rings, Emerald – Diamond rings with shoulders, and Emerald – Diamond Cocktail Rings.